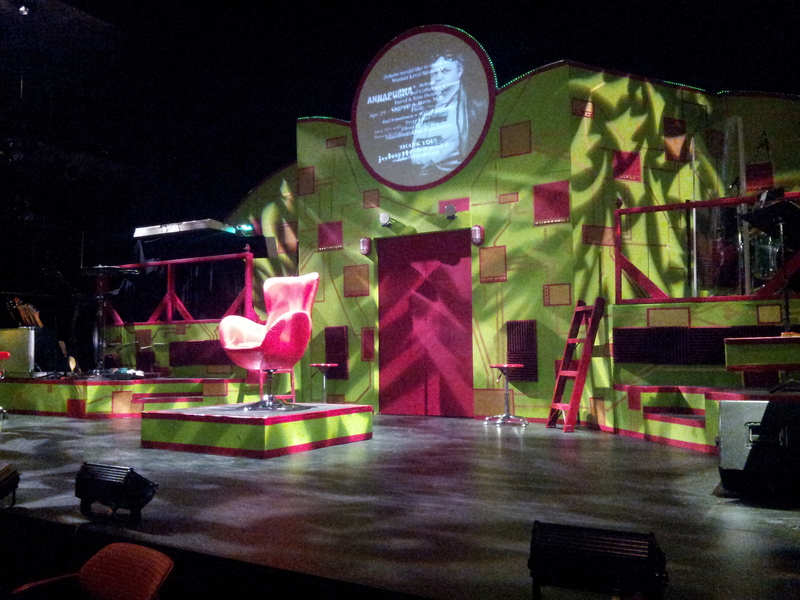 Last Thursday we decided to go to the Straz Center and see Return to the Forbidden Planet. Cheesy Sci-fi? I’m so in! It was my first time going to the Straz Center and I was really impressed by the area. There were lots of places to eat nearby and a library right across the way which you could get to through a glass walkway that made me think of Stephen King’s IT. Wasn’t there a glass walkway to the library in that book? But this one is up a floor or two. Anyways, we got there early and were walking through said walkway when I noticed something odd. Um, are those Storm Troopers? Yes, yes they are. We had time before the show started so we decided to go check it out. 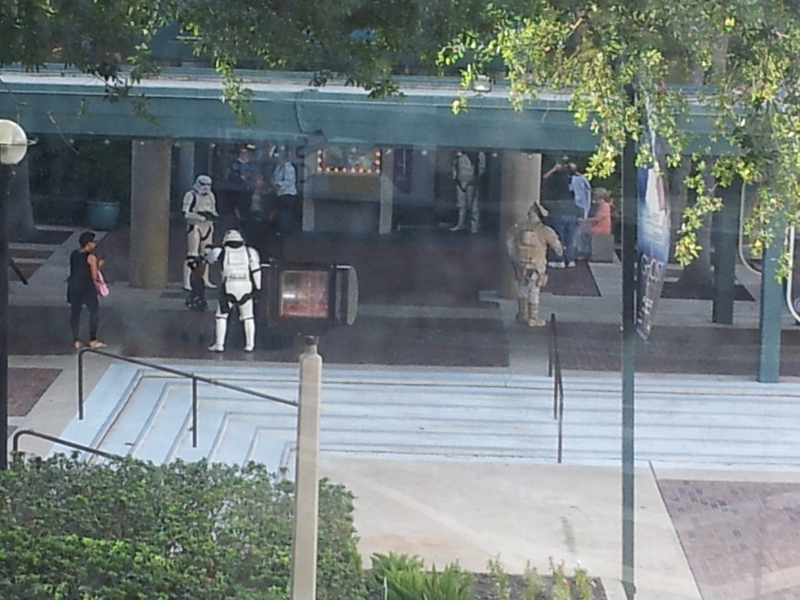 Actually, I would have totally been late to go check Storm Troopers out. So off we go and guess what? 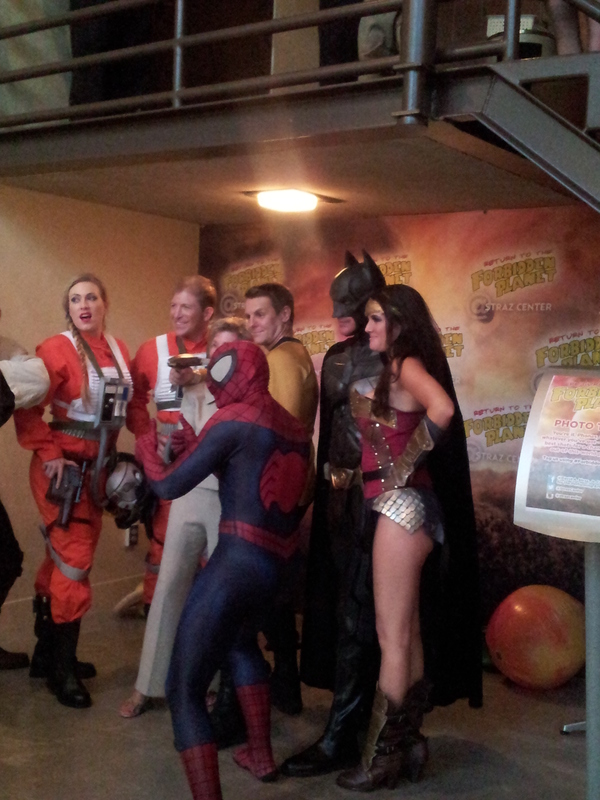 They were there for Forbidden Planet, and so was Darth Vader! Seriously cool. I mean, you know, to people like me. Turns out pretty much everyone was there! I even got a picture with Spider-Man to send to my nephews, making me the coolest aunt ever. No, this isn’t it. After stopping at the bar for a rum and coke (not something you can do everywhere in Florida!) we went in to see the show. Did I mention the space monsters? Even in space the Monster Mash is all that. If you are in the Tampa area and you are a fan of Shakespeare / sci fi / music / theater or fun you should really go check them out. You can see the times and prices and get your tickets here. The show is Thursday through Sunday until July 6th. I was given two tickets to see The Forbidden Planet in exchange for an honest review. So, how about you? Have you been to the Straz Center yet? Have you seen Return to the Forbidden Planet anywhere else? And the all important question, do you know the walkway in IT that I’m talking about? This entry was posted in Review, Sci Fi and tagged #LoveFL, Forbidden Planet, Straz, Tampa by Kinda Zennish. Bookmark the permalink. For some reason I can’t see your photos, but that may just be my computer. Sounds like a really fun show. We’re Sci-Fi fans in this house, but I’m not familiar with The Forbidden Planet. I’ll have to look that up. We saw those stormtroopers, Vader and Batman at the Autism Speaks Walk a couple of months ago. My boys flipped out when they saw them. I think you can hire the group to come out to your event. Actually, once I submitted my comment above, your photos appeared! You should definitely check it out, it was really funny. Hmm, I wonder if I could get the Storm Troopers to come hang out in front of my house and freak out the neighbors. Wow! Thank you for the great review! I too am a true Sci-Fi lover! I am so happy you enjoyed your experience with us. Of course I enjoyed the it, the show was fun! I love the straz & this sounds like a fun crazy show. And storm troopers – what’s not to like? The show was wonderful, congratulations on a great job! I would totally enjoy this show! Didn’t know Tampanians were so cool. I have never been to Tampa and we are planning to go to Florida in the fall and really hadn’t picked an area. This might work.